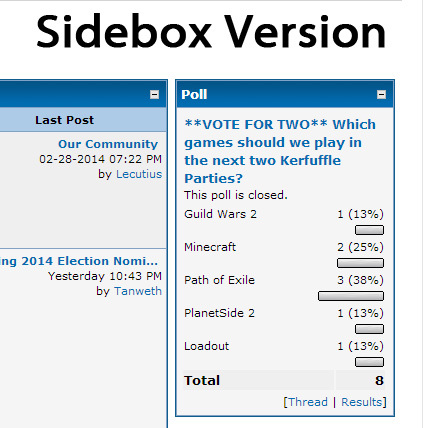 Displays a fully-functional poll on the Index and Portal pages, or in a sidebox (if using with Advanced Sidebox). 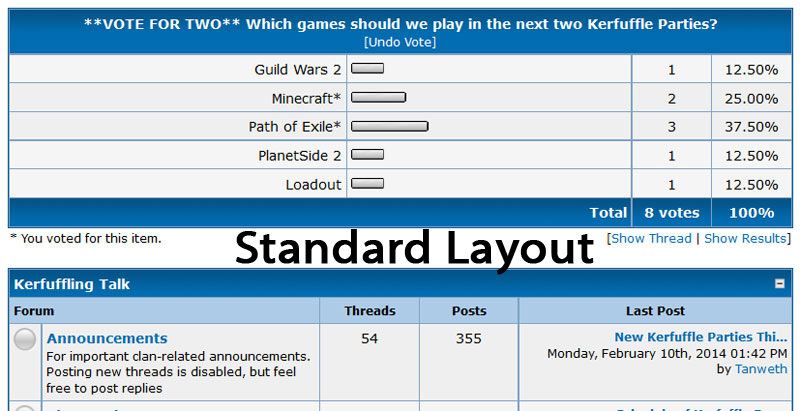 Standard: A standard MyBB plugin that displays a poll on your Index and Portal pages. 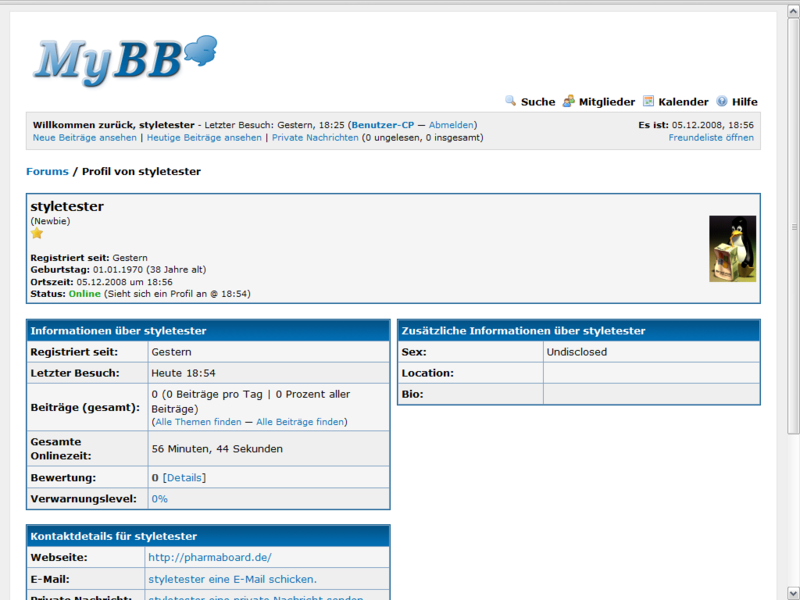 This version has no dependencies (other than MyBB 1.6). Advanced Sidebox (ASB): Requires Advanced Sidebox 2.0.5 or later (found here: https://github.com/WildcardSearch/Advanced-Sidebox). 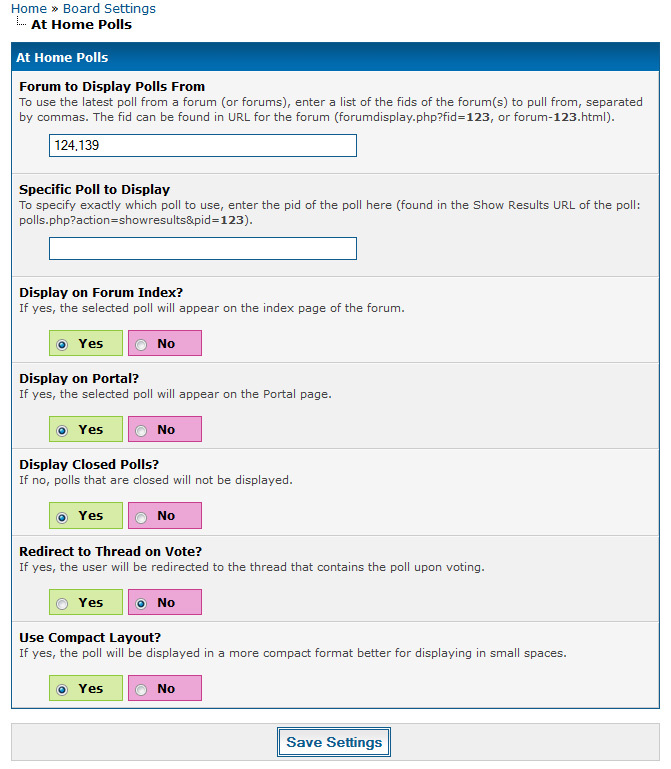 This module allows you to display a sidebox-optimized poll in a sidebox on any page. It integrates directly with Advanced Sidebox (there's no MyBB plugin to install). 1. 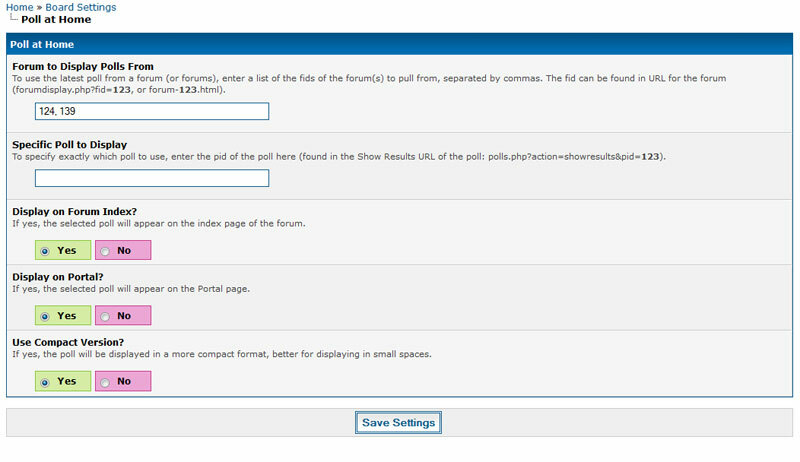 Display the latest poll from a forum or forums, or specify a specific poll to display. 2. 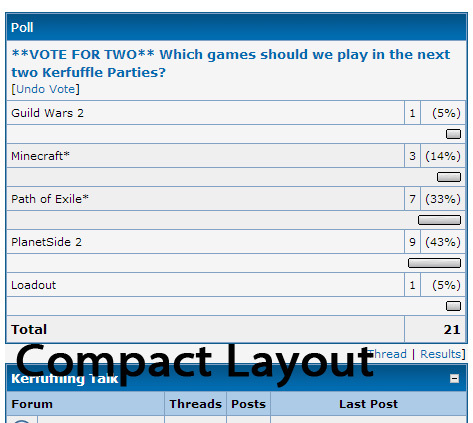 If the member hasn't voted yet, it will display voting options. 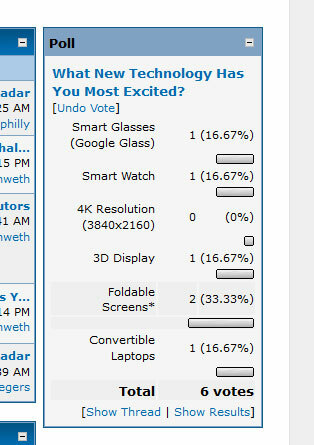 Otherwise it will display the results. 3. 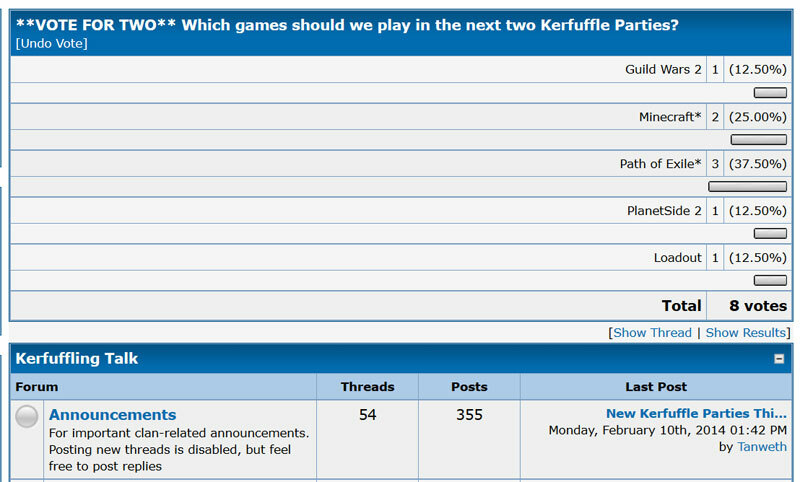 Includes a link to the original thread of the poll. 4. 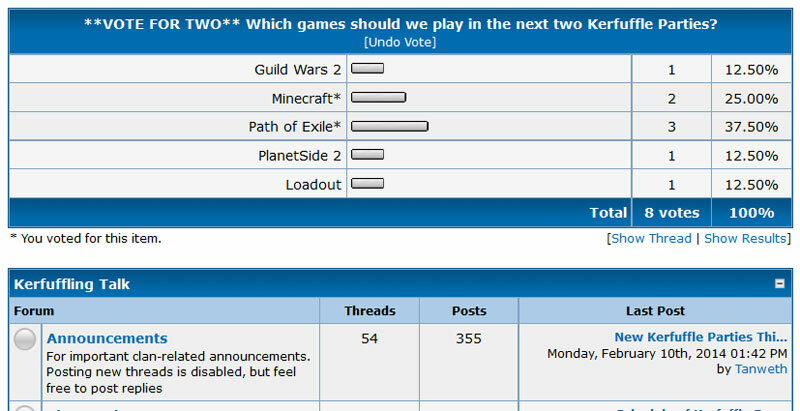 Inherits permissions from the poll's forum, so it won't display for users who aren't supposed to be able to see it. 5. 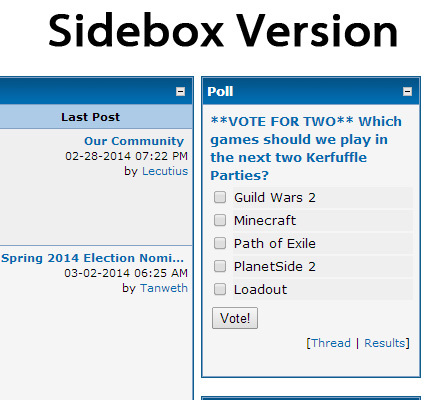 NEW: After users vote, choose either to redirect them back to the page where they voted or to the poll's thread. 6. 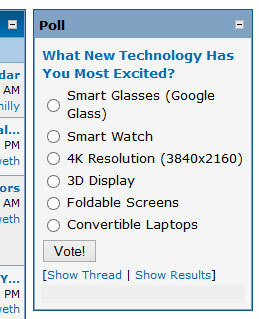 NEW: Choose whether or not to display latest poll if it is closed. 7. Compact layout optimized for sideboxes (default in ASB edition, available as setting in standard edition).